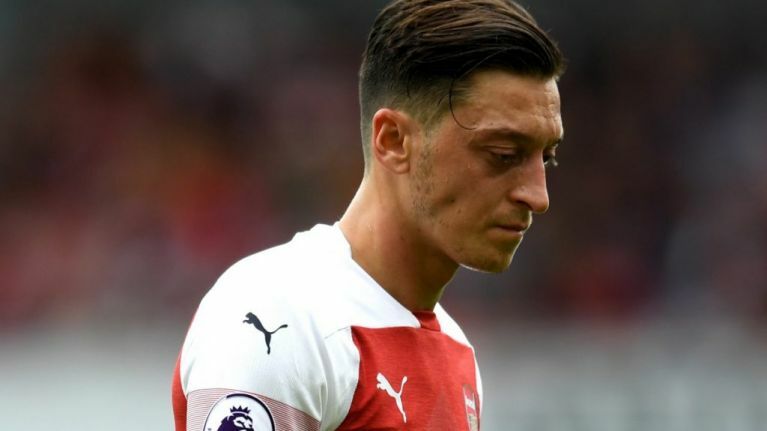 Arsenal could be without their key man this afternoon as Mesut Özil looks set to miss their match against West Ham United through illness. The midfielder was substituted during last weekend's fixture against Chelsea and will reportedly be absent from today's fixture against West Ham. Özil was nowhere to be seen when the Arsenal trained at the Emirates on Friday ahead of the game after being taken ill.
Gary Neville commented on Monday Night Football this week that Unai Emery's decision to substitute Özil during the Chelsea game was part of a process of '"working Özil out", seeing whether he is prepared and able to adapt to the manager's intense style of play. Özil's absence today could see a way back into the team for Aaron Ramsey, who played as a number 10 against Manchester City on the opening day of the season.